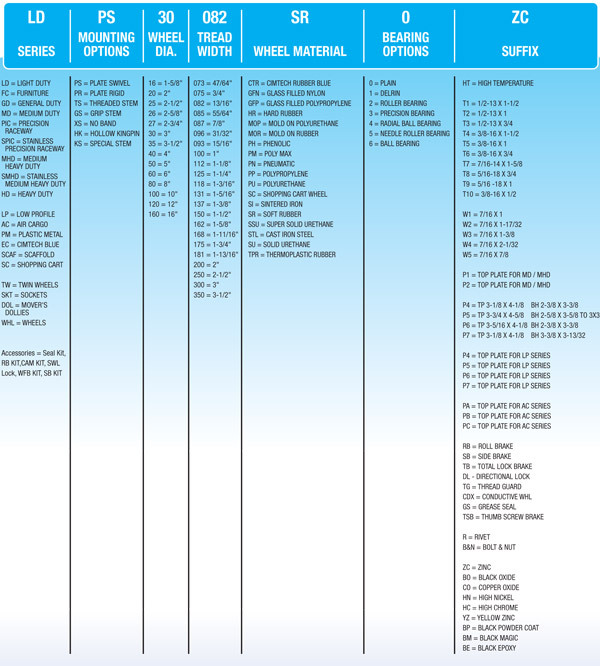 This chart explains our numbering system when dealing with caster size, series, mounting options, wheel diameter, tread width, wheel material, and the reference numbers needed to order and determine which caster you need for your purpose. Need additional assistance? Please contact our specialists today.